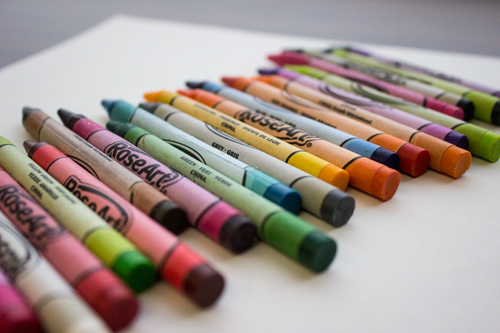 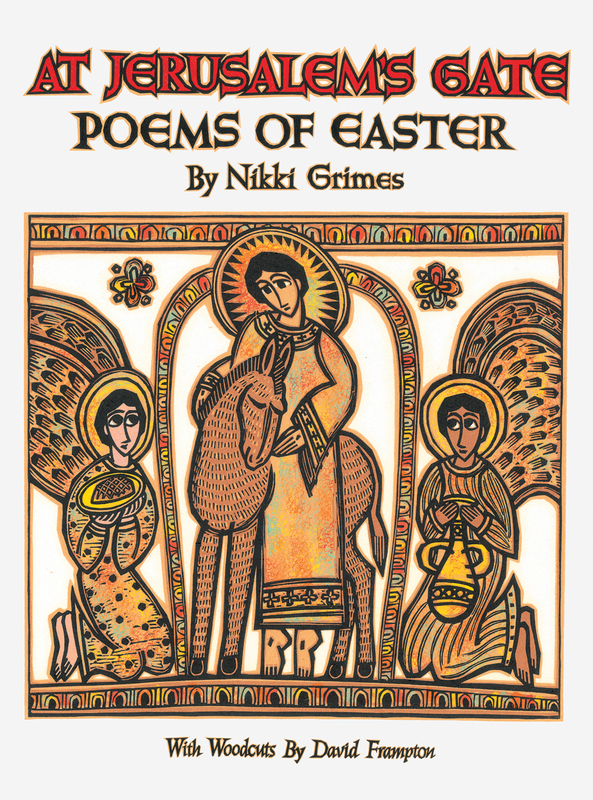 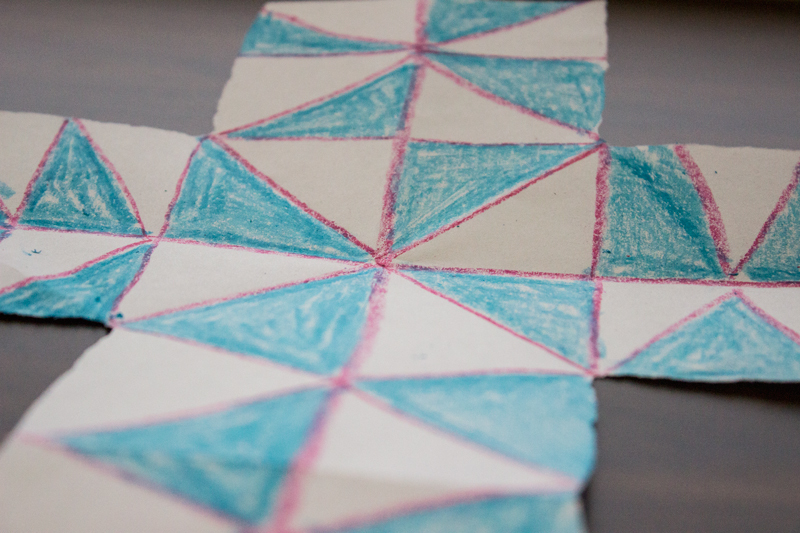 Sometimes a craft — like faith itself — is best kept simple and uncomplicated. 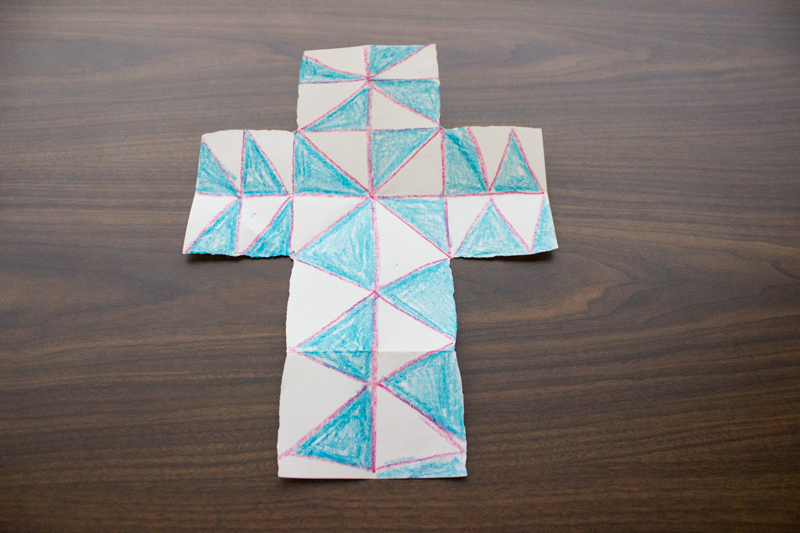 Talk with your children about Christ’s call to personal sacrifice as you tear away the extra paper to reveal a cross. 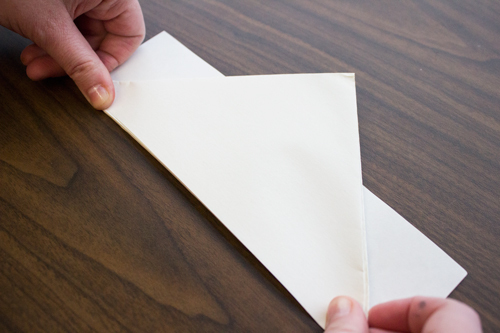 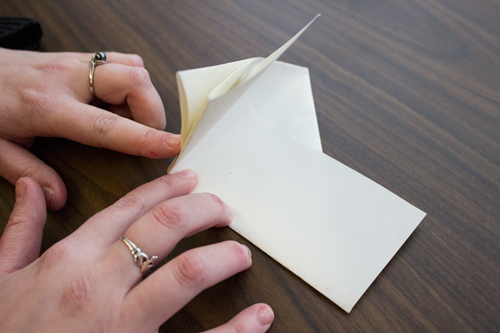 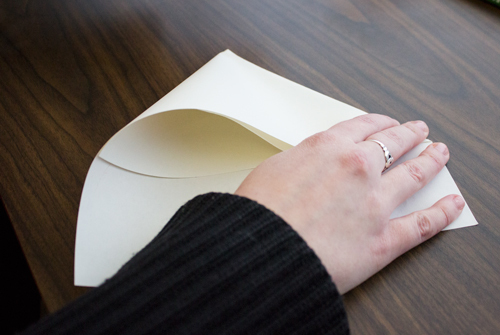 Step 1: Fold the lower left corner of the paper diagonally until the bottom of the paper meets the right side of the paper. 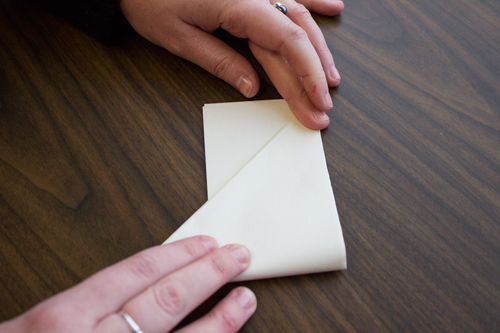 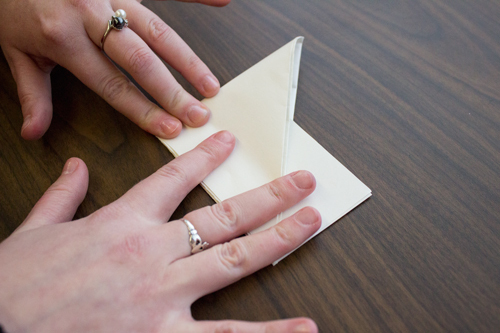 Step 2: Take the bottom right pointed corner and fold it to meet the upper left corner of the first fold. 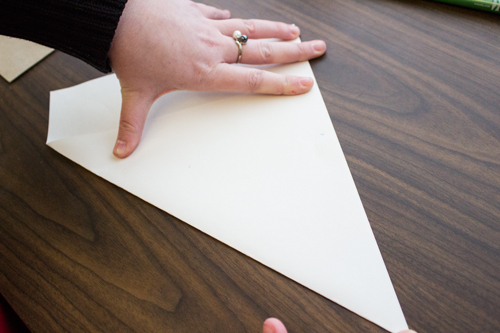 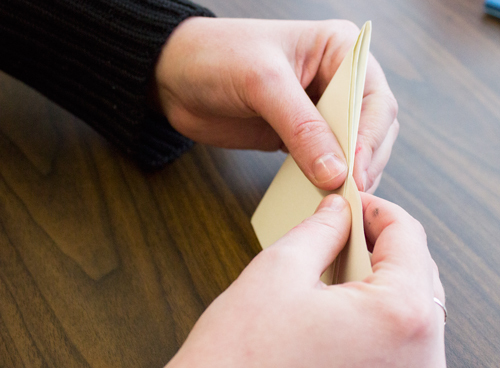 Step 3: Bring up the bottom point of the paper and fold it over where the other folds ended. 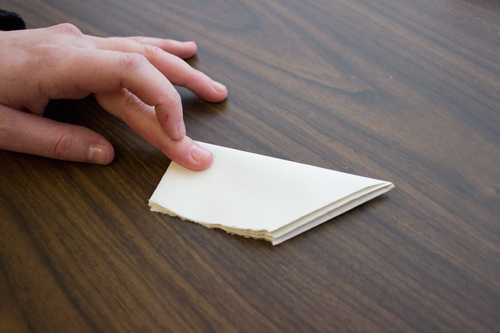 Step 4: Pick up the paper and flip it over, sideways. 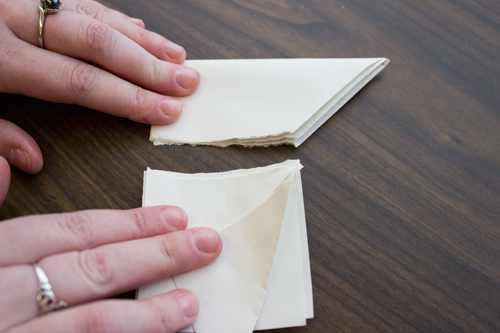 Fold it sideways in half. 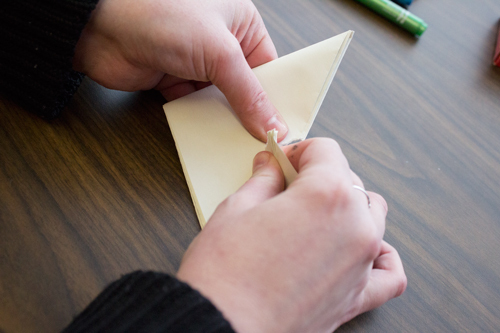 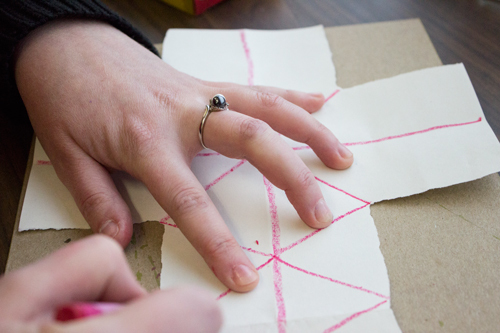 Step 5: Visualize an imaginary line about an inch from the fold and tear through all the layers down this imaginary line. 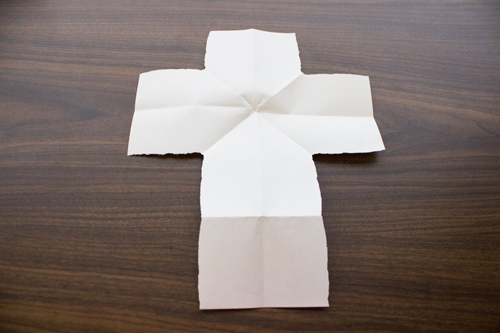 Step 6: Discard the square piece that was just ripped off and unfold the remaining paper to reveal a cross.